In our family, I always seem to be the hardest to find a Halloween costume for. I guess that applies to shopping in general, but Halloween is so specific it ups the ante. The past two years with some forethought and planning we all ended up in festive gear and our family had such a great time all season long (a heck of a lot better than wearing a literal question mark around your torso). This year is shaping up to be no exception. We are dressing up like Guardians of the Galaxy! 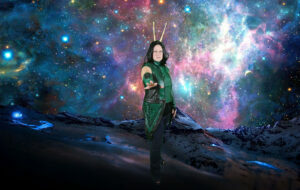 I am going to be dressed up in a Mantis Halloween Costume – the empath insect. 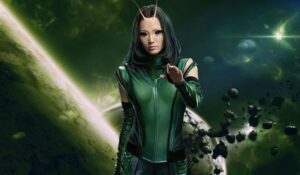 More specifically Mantis Pom Klementieff. For me, it was between Mantis and Nebula. Mantis is clearly the cooler of the two, and there is no way I could pull off Nebula’s badassery. Originally, we were going to try and wing it with a green tank top and black arm bands but I didn’t want to be the outcast looking like a hobo trying to squeeze in on the family fun. We looked around to see what other options we could find, and found a Mantis Cosplay outfit through Amazon where we could purchase just the bust and arm sleeves. It was $89 for a one time use item, but it was the last thing we purchased and after seeing everyone else’s awesome outfits, we justified the expense. The company requested specific measurements so they could make the costume to the perfect size. It arrived in good time, and is extremely well made. It’s nice leather, accurate, and stunning. The only problem is, and it’s a major problem, the one measurement they forgot to ask for was the neck. I can’t zip it up. We the jacked to Stitched Specialties locally, and he adjusted everything to make it fit perfect! For twice the price, FJackets, the same company that we purchased Gabriel’s Star-Lord jacket from offered a really great looking costume, but they were out of stock. We bought the cheapest headband we could find with springy antenna. They happened to be bumblebee balls and popped right off. Gabriel used moldable colored glue to wrap around the springs to form antenna, and fixed a light at the top that attaches to a battery on the side of the headband. 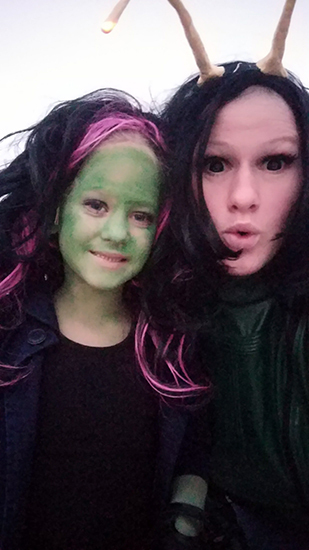 We purchased a black wig at Spirit of Halloween and cut it to match the correct hair length for the Mantis Halloween Costume. We curled the ends as needed. To really complete this look, a pair of large black contact lenses are a must. We purchased ours on sale from Optyk Rozmus. I’ve never worn contacts before, so after trying unsuccessfully for 30 minutes I finally had to lay on the bed prying my eyes open while Gabriel put them in. They are fantastic! Family Hint: Plan ahead, these are shipped from Poland and can take up to 15 days to arrive. After trying on the costume the first time, my face was totally overshadowed by the darkness of the wig despite having so much black makeup on, I could barely open my eyes. It was obvious I needed some fake eyelashes so while we were in Disney Springs we picked some up at Sephora. 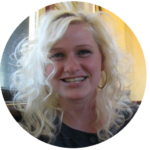 Arm this girl with a little confidence boost and she’s ready to put Ego down! I can’t see much opportunity for wearing this costume outside of Halloween, and it’s not all together a very flattering look on me. 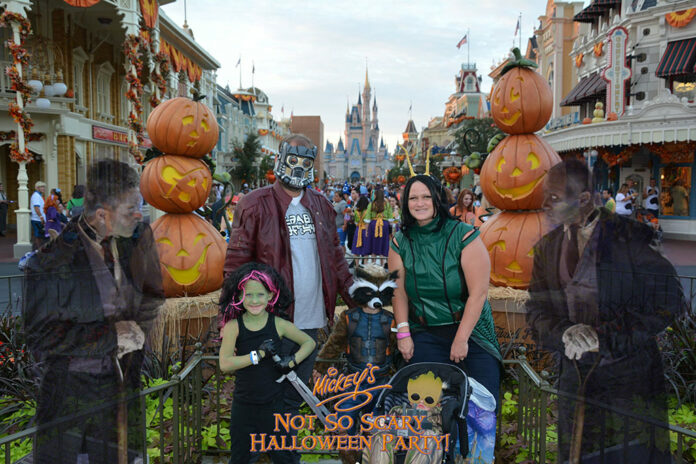 But seriously, we are super fans of Guardians of the Galaxy!, and we look amazing all pieced together.